Heyl Royster has a proud tradition of supporting our nation's military. Our lawyers and staff have served in every branch of the U.S. military, including the Air Force, Army, Navy and Marines. Our lawyers have served as judge advocates (JAG lawyers), supply officers, intelligence officers, artillerymen, mechanics, submariners, Audie Murphy Club NCOs, and in reconnaissance and combat infantry. Our attorneys have been honor graduates at basic military training and technical school, as well as military authors, speakers and volunteers. The chair of our Military Law Practice is a graduate of Squadron Officer School, Air Command & Staff College, and Air War College with an Excellence distinction. He has been involved for many years with the Veterans Legal Clinics at the John Marshall University in Chicago and Southern Illinois University in Carbondale. 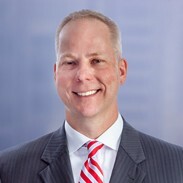 He is the author or co-author of several books and articles, including for example the Legal Guide for Military Families (ABA/Random House 2013); Servicemember and Veterans Rights (Matthew Bender 2011); Military Service and the Law (Illinois Institute for Continuing Legal Education 2009); and Finding Your Way Around the Servicemembers Civil Relief Act (Illinois Bar Journal 2007). He has been competitively selected multiple times as an Illinois "Leading Lawyer" in military law. Another of our practice group members is the author of a number of books addressing military topics, such as (1) U.S. Cold War Aircraft Carriers: Forrestal, Kitty Hawk and Enterprise; (2) The Boeing F/A-18E/F Super Hornet & EA-18G Growler: A Developmental and Operational History; S-3 Viking in Action; US Navy F-4 Phantomk II MiG Killers Parts 1 and 2; Nimitz-Class Aircraft Carriers; (3) Grumman F9F Panther/Cougar: First Grumman Cat of the Jet Age; Boeing F/A-18 Hornet – Warbird Tech Vol. 31; and McDonnell Douglas A-4 Skyhawk.